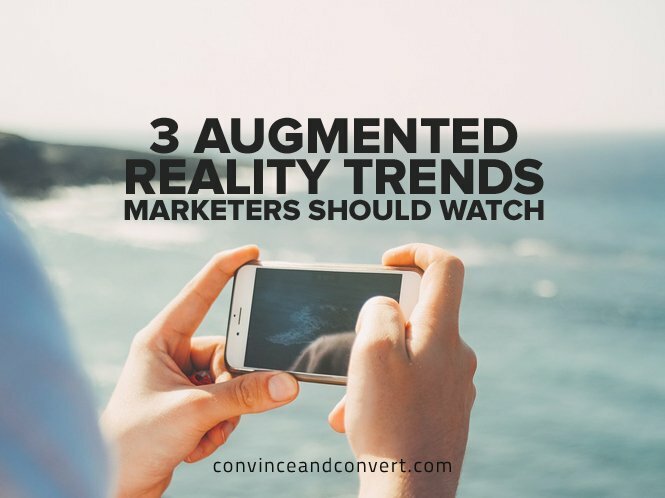 While the all the recent hype about Pokémon Go has drawn attention to the world of augmented reality, the truth is that we’ve been trending in the direction of screen-enhanced information for years now. With smartphones in the hands of 72 percent of U.S. adults, according to Pew Research, there are more opportunities than ever to present information to users in ways that keep them interacting with the real world. What is augmented reality, exactly? Augmented reality is the overlay information onto the real world, allowing users to see virtual items or information while looking at real things. If you’ve played with Snapchat’s lenses to take a selfie or seen a sci-fi movie in which a soldier can see information on the inside of her visor, you get the general idea. 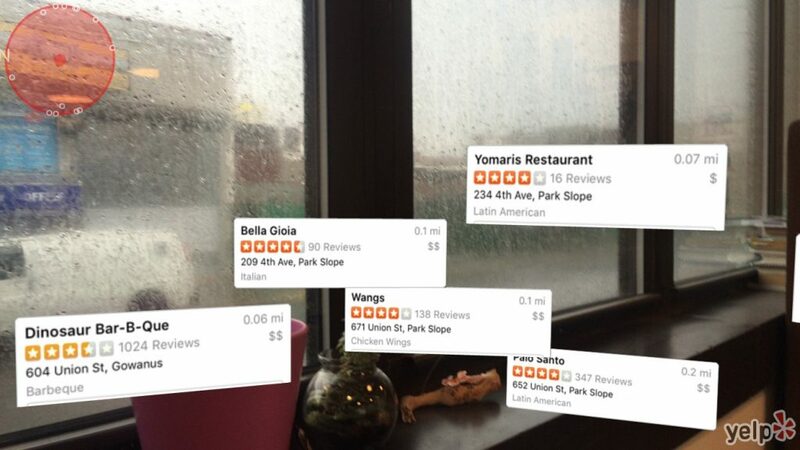 The Yelp Monocle, introduced in 2009, was a novel (albeit slightly limited) example of the possibilities of AR. The world shown through users’ cameras was given an overlay with location listings in the general directions of where they are in relation to the user. And while not exactly AR, I would argue that Facebook’s Place Tips occupy a similar space for users, providing information based on their interactions with the physical world around them. AR’s prevalence in our lives is only going to increase from here. For smart marketers, there are already opportunities. Here are three trends you should know about. While we can’t write an article about augmented reality and not talk about Pokémon Go, the truth is that Niantic (spun out of Google) has been perfecting AR gaming since the 2012 release of Ingress, a game in which players walk or drive around the real world looking for “portals” to hack and link, in order to capture territory for their “faction” or team. Think “capture the flag” with a serious upgrade. For marketers, the evolution of Ingress shows us the blueprint for Pokémon Go. Ingress’s world eventually included sponsored portals, such as Jamba Juice and Zipcar locations, where players could use special passcodes to collect special items in the game. These sponsorships increased foot traffic to the businesses and gave gamers a reason to become paying customers, and it already looks like Niantic will monetize Pokémon Go in similar fashion. In the meantime, a recent blog post by Vincenzo Landino on this blog has some great suggestions for ways that businesses can lure Pokémon trainers to their locations. For clothing, accessory, and makeup companies, AR presents a new way to show customers what it will be like to use or wear their products. 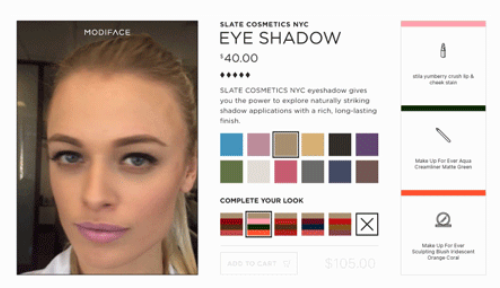 Companies like Modiface, whose AR mirrors can be seen in Sephora, let users virtually try on eyeshadows and other products without having to apply them—useful if you already have makeup on! For customers, it makes it easy to see what a product will look like without all the hassle of wiping your face off and applying new products multiple times. Here’s another scenario for gentlemen who hate trying on clothes: Imagine standing at home in front of your webcam and being able to try on multiple pairs of pants and shirts without having to actually disrobe. Sounds pretty good, right? It might even make that website your go-to shop. We’re almost there. This type of virtual sampling combines personalization with convenience, making it a win for consumers and businesses alike. Google Glass may not be ready for primetime, but soon, we’ll have enhanced windshields, windows, and eyeglasses. Companies including Jaguar and BMW are experimenting with “smart windshields” that help eliminate blind spots and display information we might miss with our puny, human eyes. More companies are embracing the ability to present information based on GPS data. Facebook’s Place Tips is one early example, but we’re also seeing companies like Yext serve up location-based ads in all manner of apps, allowing shoppers to get information on deals and offers only when they’re in-store. It’s not quite as elegant as an in-eyeglass display, but it’s definitely a step towards the future of science fiction.